So, you’ve read the learning management system (LMS) reviews, tried out a few LMS demos, decided online learning is the training model you want to implement in your company, and purchased a learning management system. Now what? It’s time to launch it so that your employees and company can start benefiting from the investment as soon as possible. LMS/online training program launch time is a critical time for companies. If the LMS and online learning program are launched the right way, success will ensue. If not, company leaders may not get the ROI they hope for. Thankfully, there are steps you can take to launch a corporate online training program delivered via LMS the right way (i.e., as effectively as possible). 1) Prepare employees – Before you fully launch an LMS that will deliver your online learning program, employees/users must be educated about how to use it. They need to know how the interface works and exactly how to interact with the platform. You can train them best by starting with a pilot. Make sure employees and users are taught how to sign onto the LMS, interact with the platform, access the content, take online quizzes, etc. 2) Plan eLearning content and delivery – The second step in launching an LMS and online training program is planning out what content you want to deliver to users and deciding when you want to deliver it. Some LMS providers offer an eLearning content library. If yours does, by all means, take advantage of it. If not, create your own content. There are some helpful tips on how to do that here. It would be ideal to conduct a survey to gather information about what content and training employees are most interested in and then try to accommodate those requests to the best of your ability. Remember, it’s not about cramming a bunch of training down employees’ throats; it is about offering them engaging training that they will interact with on a regular basis and retain. 3) Go live – Once you’ve trained employees in the usage of the LMS and planned content and delivery, you are ready to go live. As you launch your online learning program through an LMS, have a team ready to assist users with any problems that may crop up. This team might consist of only two or three administrators that completely understand the LMS and online learning content and can circulate the workplace during the first few days of live usage. Even if these individuals are only available two or three hours per day for, say, up to the first two weeks after the LMS launch, it will be immensely helpful to employees and users. Long-term customer service – If you choose to purchase TOPYX LMS, you will have access to customer support for the life of your usage of the LMS. TOPYX customer support professionals will always be available to answer questions and resolve issues so that you can be free to do your job. Provider maintenance (no IT team required) – Another benefit of opting for TOPYX LMS is that the LMS provider maintains the online learning platform. This means customers don’t have to rely on on-staff IT pros to maintain the LMS. This is great news to the many small companies that do not have an onsite IT team. One low, flat rate with no per-user fees – The best thing about TOPYX LMS is that it costs one low, flat rate. A number of LMS providers charge a flat rate until a certain number of individuals begin using the learning management system. Once the amount of users goes above the cap, customers are charged for each additional user. This can wage war on a company’s budget. TOPYX LMS customers don’t have to worry about this. With TOPYX, you pay one low, flat rate, and never have to think about per-user fees. With TOPYX LMS, seeing is believing. Request your FREE demo of TOPYX LMS today. Launching a corporate online training program can be a piece of cake when done right. 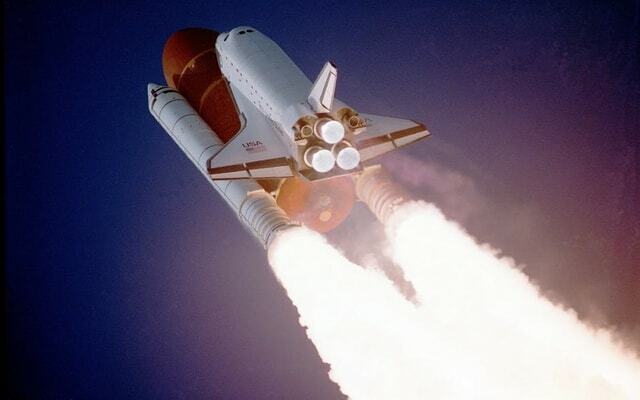 Has your company ever launched (or attempted to launch) an online training program delivered via LMS? If so, how did it go?